HAUT enriches Amsterdam with its iconic status. 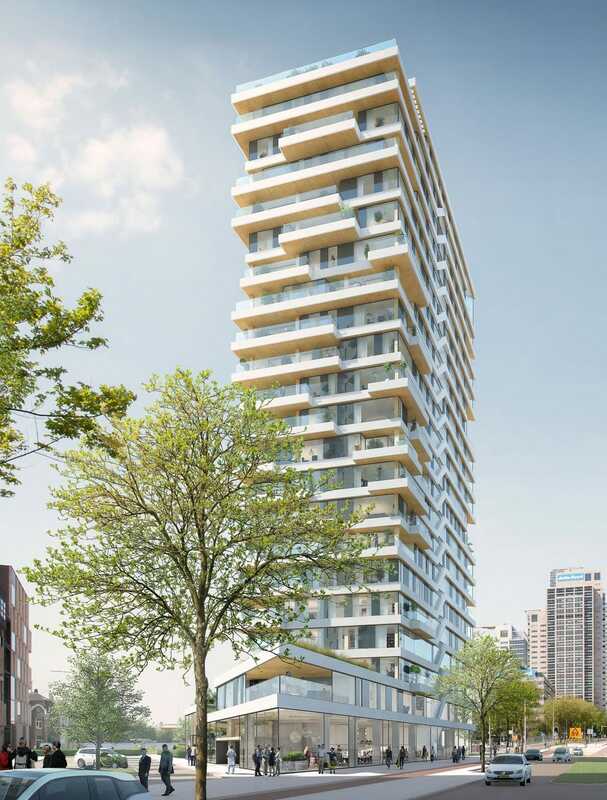 Conversley, HAUT residents can enjoy the city through high ceilings, large windows and spacious terraces. 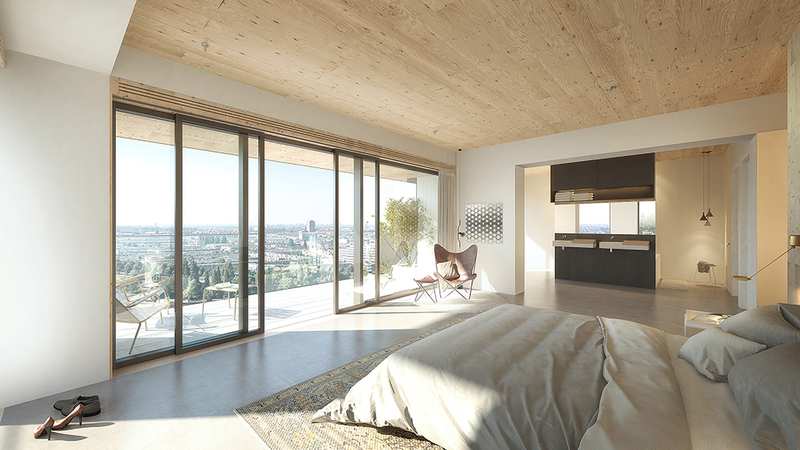 Using wood as its main building material, and inspired by international example, HAUT is the new standard for healthy building and luxury living. 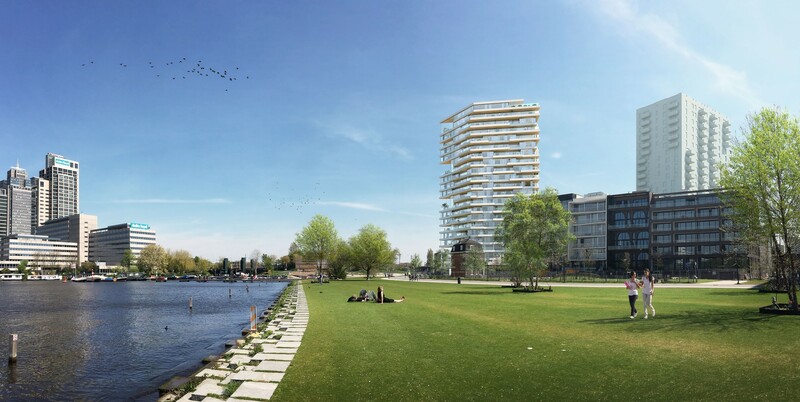 With a height of 73 meters and 21 floors, HAUT is set to become the tallest wooden residential building in the Netherlands. 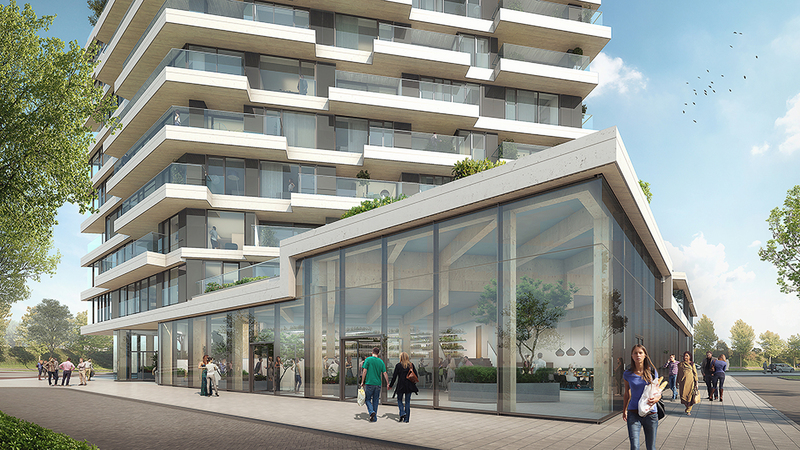 HAUT is designed by Team V Architects in cooperation with ARUP. 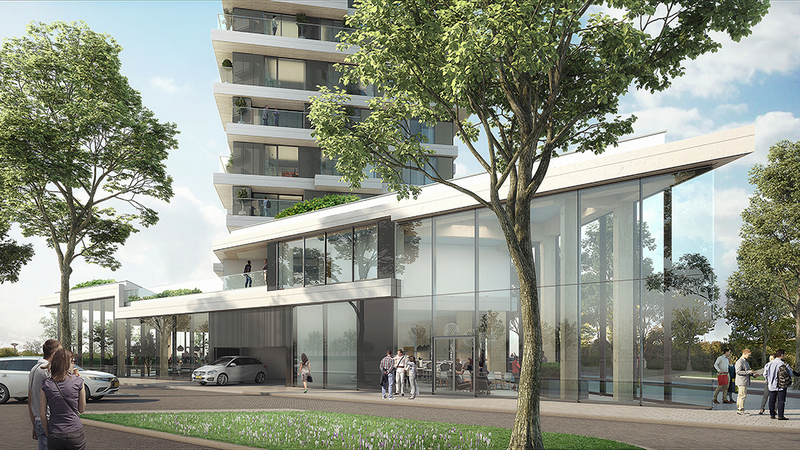 The contractor J.P van Eesteren has started with the construction of HAUT. Begin 2021 the apartments will be delivered. HAUT is made from wood. A centuries-old building material, yet at the same time a basis for innovation in sustainable construction. Wood does not emit CO2, but naturally absorbs it. HAUT therefore earns the highest possible sustainability accreditation, unique in Dutch housing. 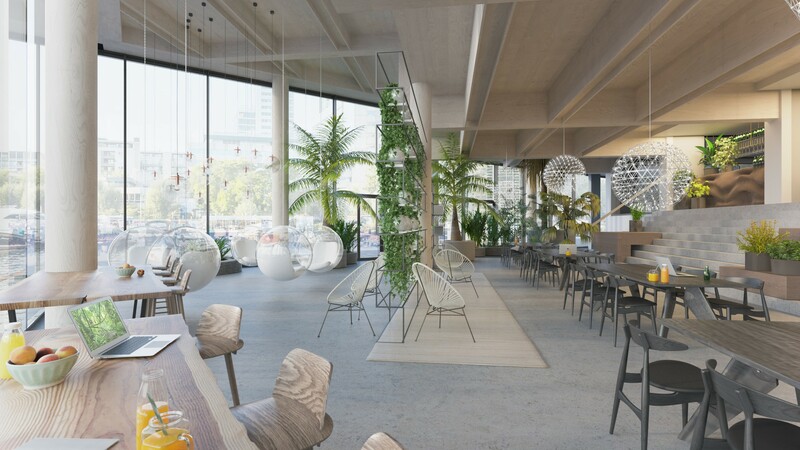 In addition to a wooden high-rise construction, HAUT will be fitted with an energy-generating façade, triple glazing and where possible, the application of recyclable materials will also feature. Wood has additional qualities; it breathes, it lives. Wood feels warm and therefore provides exceptional comfort. Health & Performance Club Great intends to locate in the ground floor of HAUT. This successful club, which already has a base in Amsterdam Oud-Zuid, focuses on a healthy lifestyle through activities related to sport, wellness and nutrition. This club enhances HAUT with a pleasant ground floor area dedicated to exercise and relaxation, and views over Somerlust Park on the Amstel. A parking garage with electric charging points, bike parking space, and storage space for all apartments will be found in HAUT’s basement.